The drinking of tea dates back to ancient China and became popular in England during the 17th Century. However, the concept of having tea, sandwiches and cakes as a light meal in the afternoon is generally believed to be the invention of Anna Maria Russell, the 7th Century Duchess of Bedford (1783-1857), a close friend of Queen Victoria. Dinner time in fashionable circles had been getting later and later throughout the 18th century. By the early 1840’s it was firmly established at 8pm, which apparently left the Duchess feeling rather peckish in the afternoon. Her solution was to order a pot of tea, cakes and sandwiches to be served at around 4pm a practice she found so delightful that she began inviting friends to share it with her. The idea soon caught on in both upper and middle-class households and a great British Tradition. 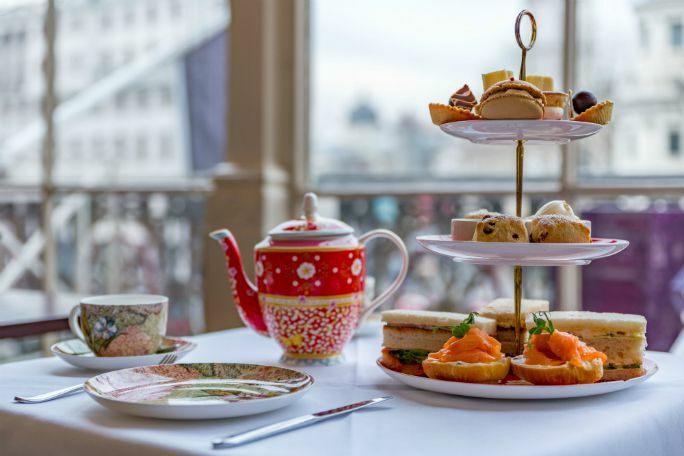 Please make your way to The Terrace for Afternoon Tea. Only valid for the date booked.